Post in Creation Day and tagged Antonie van Leeuwenhoek, creation, creator, DNA, evidence of creation, Father of Microbiology, God's presence, microbiology, microscope, science on September 27, 2015 by Rochelle Tolon. We often look for the evidence of God’s existence in big things. We seek God’s presence by looking at the stars and the sky or by appreciating the vastness of the ocean. However, we tend to ignore the evidence of God’s presence in the small things around and within us. Did God, who is infinitely bigger than the entire universe, really leave His mark in the small things? If we are smaller than a speck of dust compared to the vast planets and multiple solar systems in the entire universe, just imagine how small a single-celled bacterium would be in the overall scheme of things. Yet God, in all His perfection and meticulous attention to detail, still took the time to embed a complex DNA structure even in these single-celled organisms. They may be invisible to the naked eye but they are a crucial part of God’s masterpiece and such complex structures cannot be a product of chance or random splicing of amino acids. Genesis states that in all the six days of creation, God saw that everything He made was ‘good’. God is so satisfied with His creation that He left clues in order for us to see His workmanship. Before the microscope was invented, we had no idea that God made each cell in our body in a very complex manner, or that its processes can be compared to that of a highly advanced city. As science and technology advances, God’s hand in the creation process is slowly unfolding right before our eyes. However, let us not limit ourselves to glorifying God in the great things alone. We should be joyful for everything that God has created, even the smallest creations. 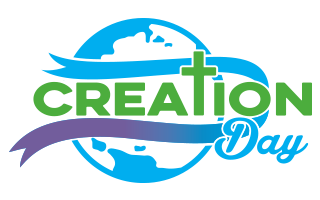 By celebrating Creation Day, and signing the petition to establish Creation Day as an official holiday, we can glorify God by showing our appreciation and concern for all the things that He has done. Post in Creation Day and tagged bible, Biblical Archaeology, Christian Faith, God, Jesus, science on September 11, 2015 by Taryn. In order to understand the Bible and whether or not we can regard it as reliable, we must first understand something about the nature of the Bible. The Bible is not a book, so much as a collection of many books. The collection was authored by a number of different writers and editors over a period of over 1000 years before it was compiled into the single book that we now know as ‘the Bible’. Though God did not physically write the Bible, Christians believe that the Bible is God’s word – inspired by God, written through everyday people to record the events of the Old and New Testament and to reveal himself to humanity. The Bible is controversial today for several reasons. Firstly, it is filled with miraculous events which modern people find hard to accept as true events. Events such as the parting of the Red Sea, the splitting of the rock and Jesus walking on water are difficult for people to swallow, particularly in an age where anything that appears to supersede the natural world is dismissed or rejected. Secondly, the Bible makes very bold, existential claims about the world. It claims that God exists, that he reveals himself through his creation and through his son Jesus who is the saviour of the world and all of humanity. These things have often led people to doubt the authenticity, and relevance of the Bible in the 21st century. One of the issues that sceptics have is that Christians often quote the Bible, in trying to build their case for the Bible’s validity. This can be problematic because those who question the Bible do not view it as reliable, and thus, an appropriate source. A better approach is to present sceptics with mixed evidence, both from within, and outside of the Bible. This will exhibit the Bible for what it is – a reliable, accurate record which has been transmitted down through history and shaped into a canon that reveals God to the world. The following is a list of eight compelling cases for the accuracy and reliability of the Bible. Compared to other manuscripts and pieces of ancient literature, the amount of Biblical manuscripts in existence is phenomenal. The number of ancient Biblical manuscripts in existence far exceeds that of classics such as Plato, Socrates or Aristotle, and the accuracy of the transmission between manuscripts serves to prove just how extraordinary this piece of literature is. The most famous Old Testament example of manuscript evidence is that of the Dead Sea Scrolls, which were found in the caves of Qumran, Palestine in the 1940s. At the time of their discovery, there had been 2,000 years since the last penned pieces of the Old Testament and the finding of the manuscripts, yet, the match between the Hebrew Bible that we use today and the ones found in the caves is uncanny. When it comes to the New Testament, more than 20,000 manuscripts are in existence, making the New Testament the most reliable document in antiquity. The second most available text from antiquity is Homer’s Illiad, of which just over 600 copies exist. Sceptics will often claim that the Bible has been changed throughout history, and lacks the original, intended message of the authors but the physical evidence against this notion, such as the Dead Sea Scrolls, is quite compelling. While the manuscripts do contain minor variants, they do not impact on the substance or the significance of key Old or New Testament beliefs and claims. It is also clear from the sheer number of manuscript copies that closely match the Bible in its current form, that the Bible has been preserved without any additions or major alterations. The manuscript evidence reinforces the fact that the Bible has indeed, stood the test of time. Time after time, modern archaeological discoveries have confirmed the historical and cultural accuracy of the Bible and its records. Over 25,000 Biblically relevant archaeological sites have now been excavated, all of which have served as an amazing testimony to the legitimacy of the Biblical record. The historical reality of civilisation such as the Hittites, the Edomites and the Horites have all been confirmed through archaeological findings, as have many kings and kingdoms mentioned within the Old Testament. The Hittites, referenced throughout the Old Testament as a group of people living within the Canaanites, were thought to be nothing more than a Biblical legend, until their royal archives were unearthed in Turkey in 1906. Sceptics also believed that Solomon’s tremendous wealth, as described in 1 Kings was thought to be exaggerated, and embellished for literary reasons, but recovered records show that wealth in antiquity peaked around the time of Solomon. No other piece of ancient literature has been as confirmed by archaeological studies as much as the Bible, and discoveries of this nature continue to demonstrate the credibility of the Bible. All of the New Testament writers lived in the same generation of Jesus, and three of the writers were likely His apostles – Matthew, John and Peter. A strong case can also be made that these writers wrote the books that make up the New Testament prior to the destruction of the temple in AD 70. One portion of The Gospel of Matthew is dated to around 50 AD – 17 years after Christ’s crucifixion. This small interval between the actual events and the written accounts of them make the content within them more likely to be reliable than if there was a large interval between the two. The first account of the Buddha’s life did not get penned till 700 years after his death! The fact that these manuscripts, read by those living only 17 years after Jesus ministry do not differ from the Biblical material that we have today – 2,000 years later, reinforces the reliability of the Biblical texts. It is also, certainly worth noting that the New Testament circulated during the lifetime of thousands of people who were alive at the time of Jesus’ ministry. If a book began circulating today that claimed that a man was the Son of God, and went onto describe a serious of miraculous events that took place – when in fact they didn’t – people would soon refute the book and correct the story. Interestingly, nobody in the generation in which the New Testament was circulating ever claimed the texts to be anything other than truth, indicating that they probably were. Sources outside of the Bible also confirm the events which are described in the Bible. Prominent Jewish historian Josephus confirmed the life of Jesus as well as the events surrounding his crucifixion under the Roman government and Roman historian P. Cornelius Tacitus, also referred to Jesus in his writings. The fact that the Bible finds support among secular historians such as Cornelius lends further backing to the idea that the Bible is an authentic, valid piece of literature and thus, should be treated as such. Though the Bible is made up of 66 books written over a long span of time, it consists of just one Metanarrative: one overarching story of God’s plan for redemption and salvation. While some modern books are compiled by multiple authors and editors, they do not achieve one single, unifying theme like the Bible does – this can only be accomplished when the book is underwritten by a single divine author. The internal consistency and coherence that exists with the Bible is unique in that it represents a single theology, revealed and described through the framework of human history. Firstly, the four Gospels in the New Testament – Matthew, Mark, Luke and John – all present an accurate, coherent record of the life, death and resurrection of Jesus and in all four of the gospels, Jesus can be seen as regarding the Old Testament as holy and authoritative. For this reason, Jesus himself forms the sixth piece of compelling evidence that the Bible is true. Jesus said that “Scripture cannot be broken” and used it as a source of authority in his teachings. Jesus also confirmed historical characters from the Old Testament, including Jonah, Noah and Adam and Eve. All of this amounts to one point: If we take the New Testament to be proof of Jesus and accept that He was God’s son, that he lived, was crucified and rose again on the third day, then we must accept the Old Testament – because Jesus did. Secondly, Jesus very existence proclaims the reliability of the Bible. Of all the prophecies which are contained in the Old Testament, over 300 point to the ‘anointed one’. In light of what we know about Jesus birth, life, ministry, death and resurrection, we can include the reality of Jesus as evidence for the Old Testament. These 300 + prophecies were written hundreds of years before Jesus was born, yet, in being born, he fulfilled them all. Much of the Biblical material is consistent with modern scientific discoveries, despite being written long before our modern understanding of the world. The Bible refers to the immeasurable number of stars in the heavens (Genesis 22:17, Jeremiah 33:22). We know that scientists today do not know the amount of stars in the sky, as only around 3,000 are visible to the naked eye. Modern medicine now knows that blood clotting in newborn babies reaches a climax on the eight day after they are born, before tapering off again. The Bible consistently instructs parents to circumcise their babies on the eight day after birth. Lastly, the most compelling piece of evidence that the Bible is true is the longevity of the book, and the impact that it has had on the world since its inception. For thousands of years, scholars, clergy and laymen have come to the Bible of their own accord – freely and without coercion. The Bible has influenced the legal system, ethics, art, music, literature, the calendar, money and marriage. No other book in has ever had the impact on world history that the Bible has prompted. Post in Creation Day and tagged bible, Biblical Creation, Christ, Garden of Eden, God, Jesus, race, Racism, science on August 2, 2015 by Taryn. For centuries there have been people in societies all over the world that think they can justify their racist attitudes, often using the Bible as their weapon. In the midst of a new racist revival sweeping America, we must face up to what the Bible really says about different groups of people. Firstly, we must acknowledge that when dealing with race we are trying to separate people into different races, that really only belong to one: the human race. Jews, Asians, Indians, Caucasians etc. are all ethnicities within the human race. Other than slight variations or exceptions, every human being possesses the same physical traits. We all have two arms, two legs, eyes, nose mouth and more. We also know from Genesis that every man and woman was created in the image of God himself, making us not simply ‘One Nation’, but ‘One Race’…under God. Several Biblical writers address the human condition and what it means to be one race under God. John 3:16 says that “For God so loved the world, that he gave his only begotten Son…” and Romans 10:12 tells us that “…there is no distinction between Jew and Greek; for the same Lord is Lord of all, bestowing his riches on all who call on him.” Both John and Romans is referring to the entire human race. This includes every country, every ethnic group and every person. Our Lord is the Lord of all. People come in all shapes and sizes, varying according to their size, hair and eye colour, facial features and much more. Every human being looks different. However, historically, people have had the tendency to try and group people according to these physical traits, in order to fit them into a framework of racial characteristics. This has resulted in people treating people differently and making assumptions about people based on those characteristics. Some have even gone so far as to presume that these differences should represent differences in the way that people are valued and can live. God’s word is final and conclusive when it comes to issues of race. The world is inhabited by only one race: the human race. We know from Genesis that God created one man and one woman, through whom all humanity exists, and that every person on earth can be traced back to these two people since Eve was called the ‘Mother of all the living’. Interestingly enough, even the most recent scientific evidence suggests that all humans originated in one place, slowly populating the rest of the world. Yet, one question remains: how did there come to be so much variation within the human race? Genesis 11 depicts ‘The Tower of Babel’ – an event where God confused the language of humanity in order to separate them and scatter them across the world. As a result, groups of people became socially, geographically and genetically isolated, marrying and breeding within each other. This means that generation after generation were living within their own micro-cultures, doing things differently and maintaining their physical traits through selective breeding. These ethnic similarities within groups have come to be known as racial differences but this is incorrect. There is still only one race: the human race. When it comes to skin color, there has also been a mass miss-understanding. Amongst the people that make up the one race, there is also just one colour of skin: brown. Everyone’s skin color is made up of brown a pigment called melanin. Every person on earth has skin that contains two main forms of melanin: eumelanin and pheomelanin. It is the proportion of each that is possessed that determines the tone of one’s skin. This means there is no fundamental difference in people to determine skin color. Every person born is a person with some-determined amounts of brown. People then fall into a spectrum of brown, whether that is light or dark brown. The proportions are determined by several factors: one is geographical location. People who live in areas closer to the equator tend to possess darker skin, as this offers a certain amount of protection from the intense sun in these regions. Melanin is also thought to protect the skin against radiation damage, thus acting as a cancer preventative. In high altitude areas where the sun is less intense, residents need to produce Vitamin D efficiently and so tend to have lighter skin. These characteristics would eventually be carried through the gene pool and would have resulted in isolated populations taking on these characteristics within their groups. The result is today that people with dark skin tend to have dark skinned children, and those with light skin tend to produce lighter skinned children. Eyes carry the same geographical characteristics. Melanin is also present in the eyes, protecting them from ultraviolet light. It is widely known that grey, blue and green eyes are more sensitive to light and have a higher risk of incurring sun-related problems. Unfortunately, generations of ideas about race can become so ingrained that it’s difficult to completely purge them out of society and out of the individual mind. However, these misperceptions must be addressed. Every human being is a human being. Each one was created in the image of God and descended from our created ancestors Adam and Eve. When cut, every human bleeds red blood. The term ‘race’ is meaningless. There is only one race: the human race. We can correctly speak of differences in our ethnic traditions and cultural settings but we are still the same. We all bleed red. We must practice the love that the Father and the Son have demonstrated by loving every human being. When we mistreat people we are committing a grave sin: we are mistreating a person whom God loves, whom he created in his own image and whom Jesus died on the cross to protect.